The Syrian National Council (SNC) has chosen a Christian as its leader after an overnight vote in Doha. George Sabra, 65, said his election showed the umbrella opposition group was not sectarian, and he appealed for weapons to help overthrow President Bashar al-Assad. “We need only one thing to support our right to survive and to protect ourselves: we need weapons, we need weapons, we need weapons,” Sabra told reporters after the vote. 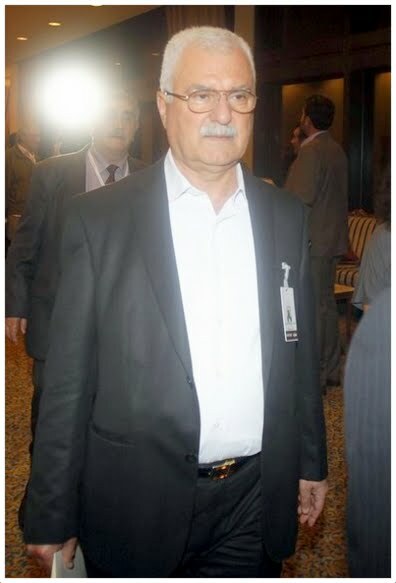 Sabra, a prominent Christian member of the Syrian opposition for decades, won 28 votes in the ballot held by the SNC’s 41-member general secretariat. His challenger, Jeddah-based Hisham Marwah, got the remaining 13 votes. Hama-native Mohammad Farouq Tayfour, deputy leader of Syria’s Muslim Brotherhood, was elected as Sabra’s deputy. Assad's regime tries to depict itself as defender of the Christian minority in Syria against Islamist extremism. Sabra is a veteran member of the Syrian Democratic People's Party, called the Syrian Communist Party until 2005. He was arrested in 1987 and jailed for eight years during the reign of Bashar's father, Hafez Assad. Having appeared in some of the earliest marches against Bashar in 2011, he was twice detained by authorities for inciting unrest. Sabra subsequently fled the country, fearing he’d be arrested again if he stayed, joining the SNC as a representative of the Syrian Democratic People's Party. Sabra presented himself as a candidate when the term of the SNC’s first chairman Burhan Ghalioun ended in May 2012, but he lost the nomination to Abdelbaset Sida. Born to a Christian family in Qatana, 30 kilometers southwest of Damascus, Sabra graduated with a geography degree from Damascus University in 1971 and a degree in educational technology systems from the University of Indiana in 1978. In his wide-ranging post penned last April, Malik al-Abdeh says Sabra’s “popularity stems from the fact that he is ‘George.’ Sabra may have a point about nostalgia for Syria of the 1950s; one of its enduring icons was Faris el-Khoury, a Presbyterian who served as prime minister in several cabinets and was Syria’s representative at the inauguration of the United Nations.